Tepco is struggling to contain the highly radioactive water that is seeping into the ocean near Fukushima. The head of Japan’s NRA, Shinji Kinjo exclaimed, “right now, we have an emergency,” as he noted the contaminated groundwater has breached an underground barrier and is rising toward the surface – exceeding the limits of radioactive discharge. In a rather outspoken comment for the typically stoic Japanese, Kinjo said Tepco’s “sense of crisis was weak,” adding that “this is why you can’t just leave it up to Tepco alone” to grapple with the ongoing disaster. As Reuters notes, Tepco has been accused of covering up shortcomings and has been lambasted for its ineptness in the response and while the company says it is taking actions to contain the leaks, Kinjo fears if the water reaches the surface “it would flow extremely fast,” with some suggesting as little as three weeks until this critical point. The simulation was performed with a specific version of the numerical atmospheric chemistry and transport model Polyphemus/Polair3D. The parametrisations used for the transport and physical removal of the radionuclides are described in [6,7,8,9]. The source term has been estimated by the assimilation of activity concentrations in the air as well as activity deposited on the ground [1,2]. 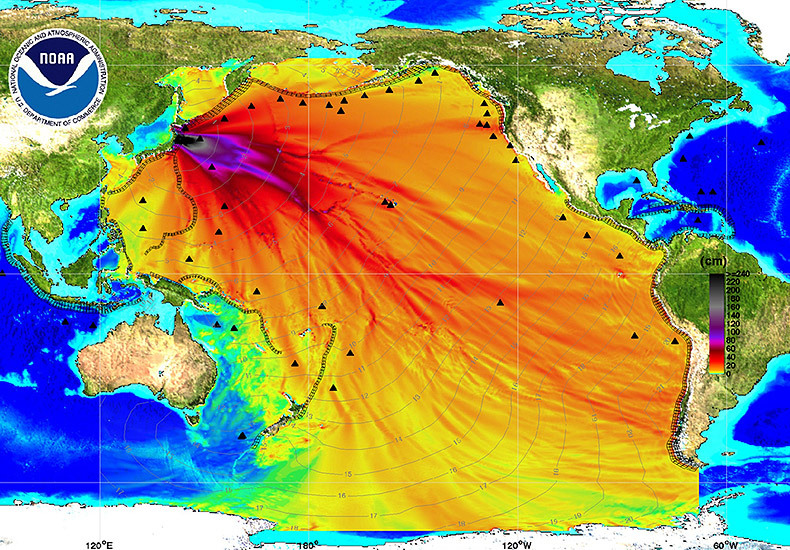 Dispersion of radionuclides in the ocean: see the coastal simulations of the Sirocco team here.